Meditation is a lifelong journey and practicing daily impacts all areas of life and takes us beyond feeling better to being a better person. I’ve been meditating consistently for about 2 years, all beginning with my need to balance the crazy busy and nonstop parts of my life with moments of complete peacefulness and to tune out the constant internal dialogue. Some days are easier than others and the type and time varies, but it is now a natural part of my morning routine. Meditating has become integral to my self care. Meditation takes you on a natural path to mindfulness and peace of mind. Dr. Herbert Benson, founder of the Mind/Body Medical Institute at Massachusetts General Hospital in Boston, coined the term “relaxation response” after conducting research on people who practiced transcendental meditation. According to Benson, the relaxation response, is “an opposite, involuntary response that causes a reduction in the activity of the sympathetic nervous system.” In other words, the relaxation response is, a physical state of deep rest that changes the physical and emotional response to stress. Recent studies from Harvard found that meditation reduces stress, fosters clear thinking and increases our capacity for empathy and compassion. Relaxation is often the result of meditation, but the ultimate benefit is letting go of attachment to things it cannot control with a calm mind and sense of inner harmony. Center yourself for the day by meditating in morning before you do anything else. Create a distraction free meditation space. Before you begin decide how long you will meditate and set a clock or timer to let you know when your time is finished. Begin with 3-5 minute sessions and increase from there when you’re ready. There’s no rush. You can sit quietly following the techniques below or try guided meditations, with consideration given to working toward not needing the guided practice. Keep it simple. Don’t focus on preconceived notions and don’t try to do anything to induce a certain state of mind. Simply become more clear about what you are experiencing at each moment. You may experience all kinds of sensations- maybe you feel fidgety or uncomfortable. This is often a reflection of the mind waiting to and anticipating moving on to the next thing. Just let the sensations go and begin again. Set at timer for 3-5 minutes. With your eyes open or closed, sit upright with your spine straight, but not stiff. You can kneel, cross your legs, or sit in a chair with your feet on the floor. Place your hands on your thighs or knees, palms turned upward. Inhale and exhale, slowly and deeply, three times. Focusing on relaxing your body as you breathe out. Then, allow your breath to come in and flow out with no attempt to control it. Simply observe and feel the breath as it flows in and out. Feel your abdomen rise on the inhalation and then fall again on the exhalation. Note: Stay present and aware of your body and breath. When thoughts arise, which they invariably will, just notice them and let them go, coming back to your awareness of your body and breath. Being with 3 breaths, as is, without manipulation. Then, begin breathing in through your nose, filing your lungs fully to the count of four. Hold your breath at the top of the inhale to the count of four. Exhale to the count of four by letting the air release, pushing your diaphragm down I order to empty your lungs of as much residual air as possible. Hold your breath at the bottom of the exhale for the count of four. Continue this breathing pattern: Inhale-2-3-4. Hold-2-3-4. Exhale-2-3-4. Hold-2-3-4. Note: Keeping the breathing pattern even, feel free to adjust the count of the inhales, exhales and the hold do you feel comfortable. Like with learning any new activity, in the beginning it can be a struggle. Your mind and body resists and it feels unnatural. With practice, you’ll notice changes with your mind resisting less. You might even look forward to sitting. Beyond your practice, you may find it easier to think before you react. You feel less stressed, more relaxed and happier. 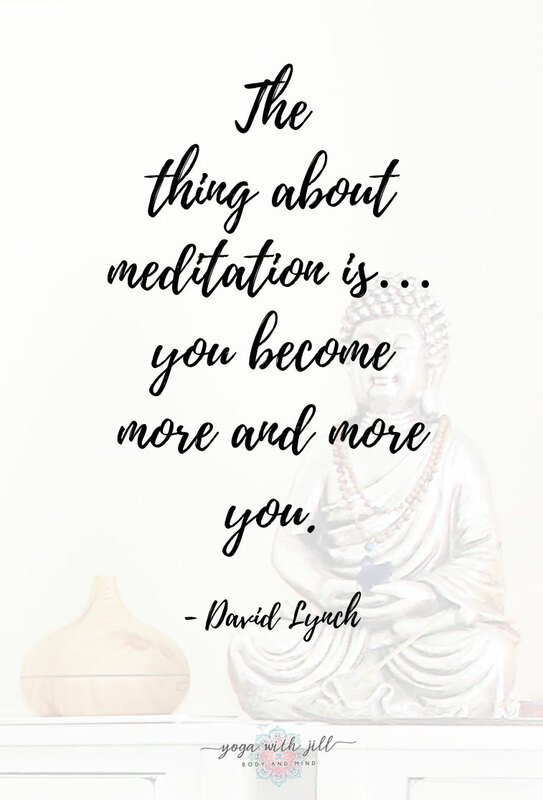 Have you tried meditating? Do you have a regular meditation practice? 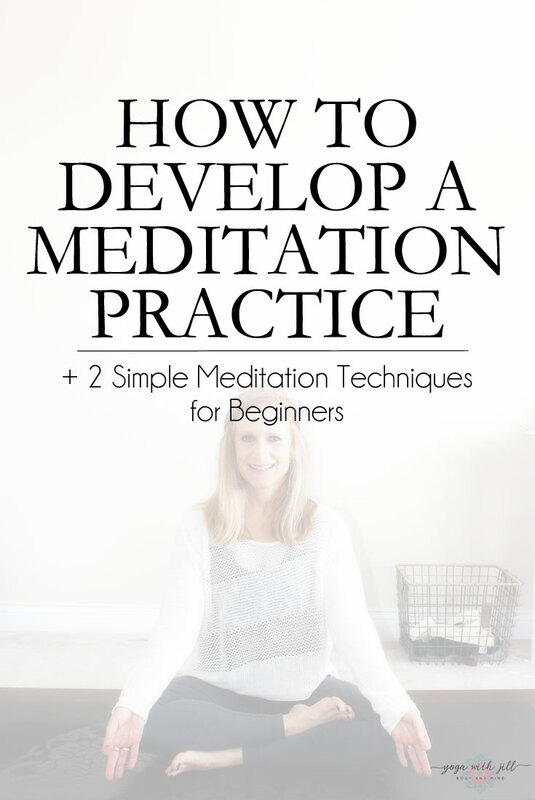 Do you have any questions about beginning a meditation practice? I’ve recently started yoga and it’s calmed me down so much! It’s amazing how a little time set aside for meditation can change someones outlook. Meditation sounds like something I truly need in my life! Seems like a nice way to block out all the crazy distractions I deal with during the day. Good tips for meditation! For me, though, my mind wanders so much that it would take a lot of time before I could meditate like this. I love Yoga, especially the outdoor sessions when possible. Meditation is a great form of exercise, Jill! Thanks to your post, I can now practice it more often! 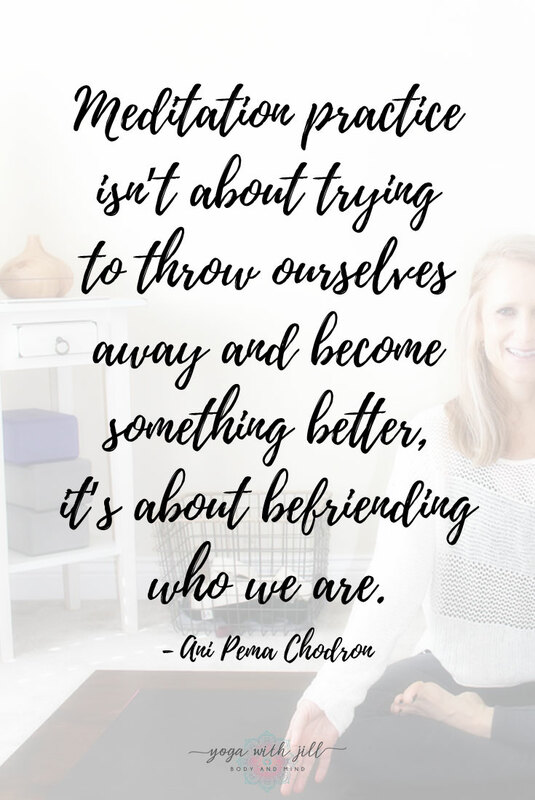 Do you recommend practicing it every day? I started my prenatal yoga a couple of months ago and it’s been a lovely experience since then… ?? ?… this is such a great post and I should include meditation in my routine too ??? Man, I need to meditate. Holy cow, I’m so bad at it! Maybe you can help me next week?! Ha! I’ve been meaning to meditate more, but this is a good reminder! I’ve read so much about meditation and how wonderful it is but haven’t really gotten into it myself. It’s like yoga and other things that I think “I should do that” or “I should enjoy that” but I don’t really. I know people say the more you do meditation, the easier it becomes or the more likely you’ll continue. Maybe one day I will actually get into it! I keep saying I will start meditating in the morning but it’s become a lot more difficult with a toddler who wakes me up and needs things! haha I need to get back into it! setting a timer for 2-3 minutes depending on how i am feeling at that moment really helps me. I once tried meditation a while ago, but it kind of fell away. I’d like to try it again – these are great tips!